A forklift driver was hired in November 2011. After two years at work, in June 2013, the Depot Manager asked him “would you like to run the depot?” Not long after, he was assigned the position of Metro Supervisor and he was given additional duties and responsibilities with a corresponding $80 increase in pay weekly. He fulfilled his role as forklift driver and fill-in supervisor at the Melbourne Depot where there were only five employees. He also exercised the duties of supervisor occasionally, and only in the absence of the Depot Manager. Four years later, in September 2017, the forklift driver received a letter informing him that the increase in his pay would cease at the end of the month. In a meeting he attended on 20 September 2017, he was also informed that he would no longer be required to perform supervisory duties and would no longer enjoy the status of supervisor. The employer had hired a new employee for the position of supervisor who was present at that meeting. The employee was not consulted regarding the proposed change, instead, at the meeting, he was informed that the change had already been implemented. The employee fell ill because of the news and he provided medical certificates to support his absences from 20 September until 3 November 2017. On 11 October 2017, he commenced an unfair dismissal action at the Fair Work Commission. Was the employee “dismissed” from his position of Metro Supervisor? Was the dismissal harsh, unjust or unreasonable? The employer demoted the Metro Supervisor by withdrawing the extra pay and the extra duties he enjoyed while Metro Supervisor. Under s 386 of the Fair Work Act a demotion which does not involve a significant reduction in an employee’s pay or duties cannot be considered a “dismissal” thus, a demotion which involves a significant reduction in compensation or duties may be a dismissal. Aside from his work as forklift driver, he also fulfilled supervisory and administrative tasks. He was paid continuously for providing the additional duties even if he fulfilled those duties only when the need arose. Thus, for the employee, his supervisory duties were not a temporary arrangement. The position of forklift driver is that of a low wage worker. When he took on the supervisory duties and the additional weekly allowance, his wages increased by 9%. Thus, for him, taking away the supervisory duties and additional wages would be a significant reduction in his pay. 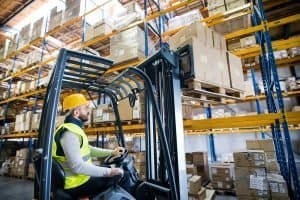 The employer unilaterally changed the nature of the forklift driver’s employment by assigning him supervisory duties and it also unilaterally changed his employment when the supervisory duties were removed from him. In these circumstances, there being no overt action of dismissal by the employer, still, the forklift driver’s employment as Metro Supervisor came to an end. He was dismissed at the employer’s initiative. He was not dismissed because the need for a supervisor no longer exists. In fact, the reason for his dismissal was that a new supervisor had been engaged. The employer had misgivings about the forklift driver’s competence and leadership skills as supervisor and yet, none of these misgivings were communicated to the forklift driver. They had decided that the forklift driver was not a good fit for the supervisory role. He was told, instead, that he would no longer be required to fill in as Supervisor as a new Supervisor had already been appointed. He was not provided with an opportunity to respond to any reason relating to his capacity or conduct for which he was being demoted. He was not allowed to have a support person present at the meeting resulting in his dismissal. The difficulty that faced the FWC was to find an appropriate remedy since the employer did not consider him terminated from his employment as forklift driver – the forklift driver, however, refuses reinstatement as he had lost trust and confidence in his employer. The FWC awarded compensation instead of reinstatement. Is your situation at work similar? Have you been assigned other duties and given an increase in compensation? Were the duties and compensation abruptly removed from you? Do you wish to clarify your rights and entitlements under Unfair Dismissal Laws? The employment lawyers at MKI Legal can help you. Call us today.